And if you need to speak a language that it doesn't currently speak, they'll write a driver for you. 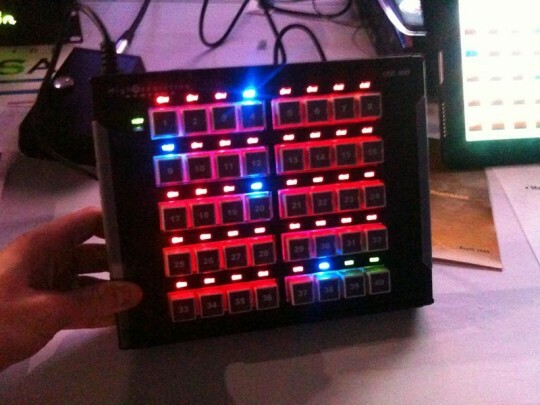 The software also controls an impressive list of video switchers out of the box, including the Vista Spyder. The system comes with a 40-button remote. We told them that's too many for the church market; an 8-button version is expected soon.Now, you might be thinking, "So what?" That's what I thought at first, too. But then we started talking about what it can do. For example, I've been looking at power sequencers to turn my PA on and off. Those can get pretty pricey, especially when I have amps in two places, and neither is close to FOH. However with the UDC, I can drop a TCP controllable contact closure box on the network in my amp room (I already have net in there), and with a few drop-down menus, create a button that will turn the amps on and off. And if I want to sequence them, it's easy to create a command chain in the software that will do that. But that's child's play compared to what it can do. Rather than get all theoretical about what it can do, consider this use case; our Midweek Bible Study. It's a fairly simple service. We have walk in (no music, just a lighting look), a welcome from the pastor (new lighting look, his mic), two songs (simple band, 1-2 mics, a new lighting look and lyrics), teaching (back to welcome look, pastor's mic), and walk out (audio off, walk in/out lighting). It's really simple, but it takes at least 2 people to run it (it used to be 3 before we had the new lighting system). But check this out; I could automate the whole thing. Here's how. First, I would come in for sound check and update my snapshots for teaching and music mics. Then audio is ready to go. 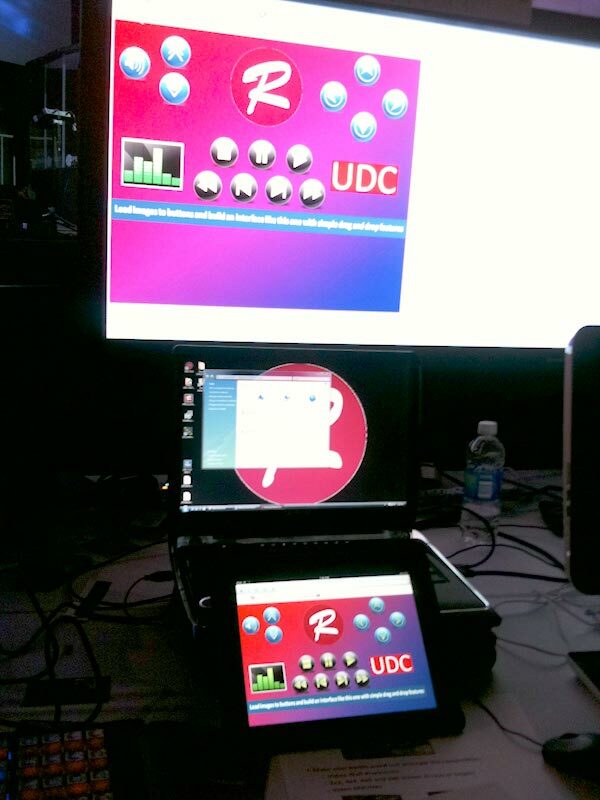 From this point on, the ProPresenter operator could run the entire service. I would create a command that would first power up everything we need; walk in lights, projector, the SD8, amps, it could even wake up the ProPresenter computer—all with one button press. I could then create a script that someone can just punch through. First step would go to the welcome "scene," advancing lighting and the SD8 automatically (I can control the SD8 through MIDI). The next step would take us to the music "scene," the next back to teaching. At this point, we'd also want to roll our CD Recorder, which is controllable via RS232, and since we're not using the projector any longer, turn it off and roll up the screen. At the end of the message another button press goes to the walk out lighting, the walk out audio and stops the CD Recorder (it may even be able to finalize the disk if the deck is so capable of being told to do so...). After the crowd leaves, a final button press can return the lights to their "safety only" mode, shut down audio and even put the Mac to sleep. Setting that all up would take a little time, but once it's done, 6 button presses can run the night. Slick. Of course, this requires a little extra hardware, such as an Entech DMX to ArtNet converter, a TCP RS232 box, and a few TCP relays. But all that stuff is relatively cheap and easy to come by. I've seen the programming interface for the UDC and it's super-simple. Compared to something like an AMX or Crestron system, where you need a certified programmer to spend weeks programming a list of cues like I just described, you could do this yourself in under an hour. And if you need to change it, it's easy. An example of an iPad connected to the custom HTTP server (running on the laptop)Oh, and did I mention the server also runs an HTTP server so you can connect and control from any web browser, including an iPad, iPhone, Android or from your laptop at home? And you can completely customize the display with simple drag and drop. You could even put a giant "Easy" button on the page and make it impossible for someone to mess up turning the system on. The system can also "listen" for actions on one protocol and execute something on another. For example, you could set it up so that when you go to your teaching lighting cue (DMX), the CD recorder automatically starts (RS232). How cool is that? High Resolution Systems is a fairly young company that is really eager to make this stuff work and make it cool. I talked with their programmer for over an hour and every time I said, "Hey, could it do this?" he'd pause for a second and say, "Yeah, sure. I could write some code for that!" So if you've been considering a total system remote control such as a Crestron, check these guys out. I hope to have my hands on the software and some hardware soon to see how it works. I'd like to implement a simple power sequencer first, then start adding other functions. Check back shortly to see the results.